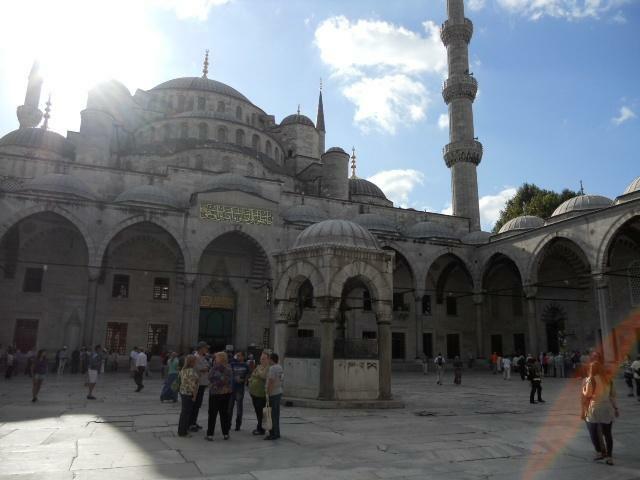 Highlights of Turkey – The Great Canadian Travel Co. The diverse culture and history of the Turkey and its people provide an absorbing trip with almost too many highlights to mention. 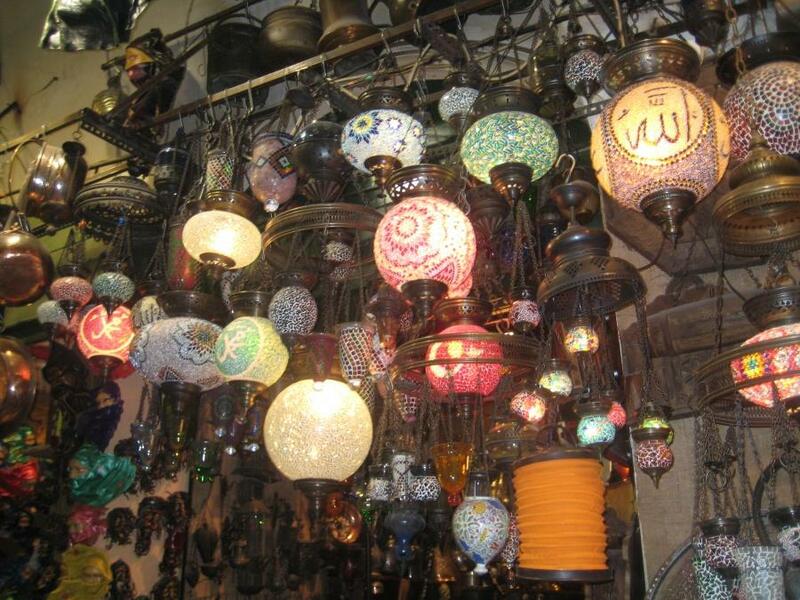 Come explore the highlights of Turkey with us! Arrive anytime today and transfer to the starting hotel in the city centre of Istanbul. There is no formal sightseeing planned. 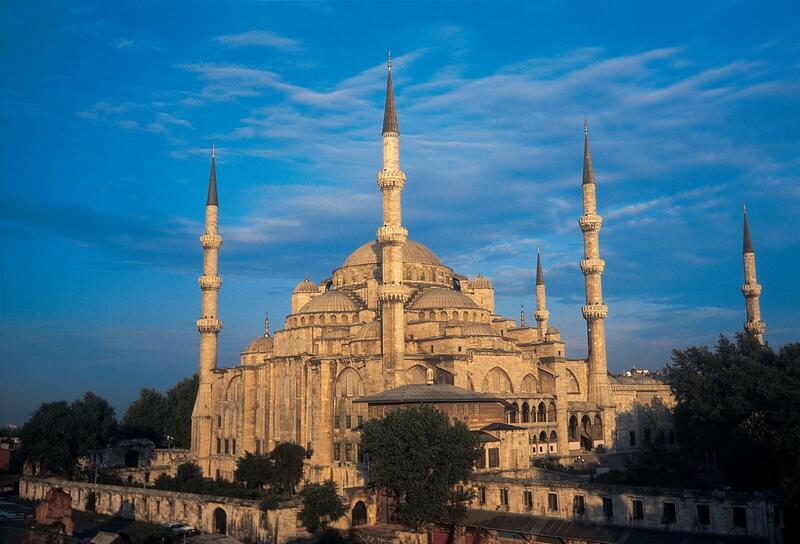 Istanbul is one of the great cities of the world, with a history spanning thousands of years. It has been through several incarnations, firstly as Byzantium, then Constantinople and finally Istanbul. The city today is bustling and its streets are crowded with locals busily going about their daily lives. If you arrive early enough, you can wander and absorb the vibrancy of this exciting city that links Europe and Asia. This evening there will be a Welcome Meeting (please check noticeboard for exact time) held in the hotel, where you will meet your tour leader and fellow travel companions. After your group meeting you take a short walk to admire the old city. 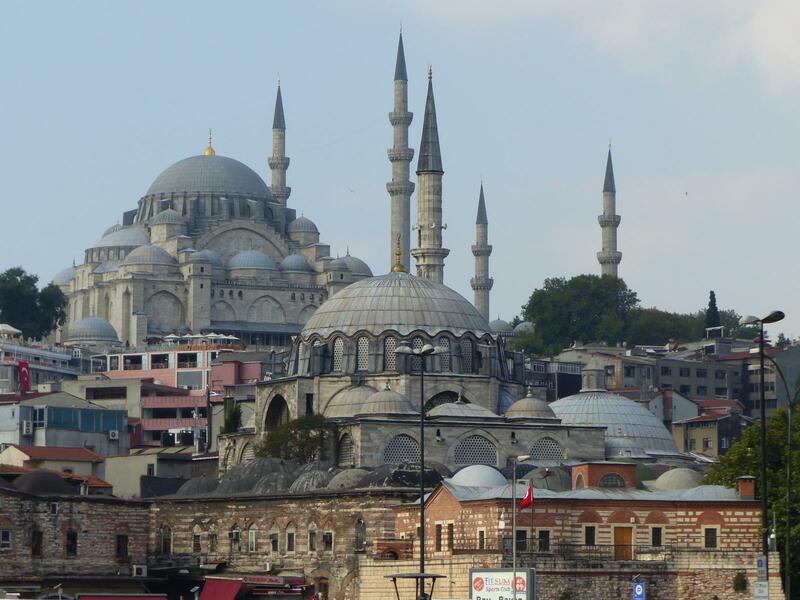 The Hagia Sofia, first a church, then a mosque and now a museum, and the Iconic Blue Mosque, both have long been symbols of the City and stand proudly side by side. You will take a seat in the park and watch the light of the day fade over these two masterpieces. Perhaps you can enjoy your first dinner together with the group in one of the lively cobblestone streets of the Sultanahmet area. This morning following breakfast you will depart for the Gallipoli Peninsula, where you can explore the battlefields of the ANZAC’s. You will then cross the famous Dardenelles arriving in the city of Canakkale in the early afternoon. You can enjoy an orientation walk of the city and some free time to stroll the waterfront in the afternoon. Approx driving time Istanbul to Canakkale 5.5 hours. This morning after breakfast you will visit the City of Troy, immortalised in Homer’s Iliad. Troy (Truva) was a city that existed over 4.000 years ago and was known as a major ancient civilization. For many years people believed that it was the city mentioned only in the tales and had never truly existed, as the area had become known as Ilium, or New Ilium. Archaeological digs subsequently proved that there had been nine separate periods of settlement. The tour will continue this afternoon to the seaside town of Ayvalik; the town centre is surrounded by the archipelago of Ayvalik Islands, which face the nearby Greek island of Lesbos. It was alternatively called Kydonies by the town’s former Greek population. Today a haven for holiday makers and the olive oil capital of Turkey, Ayvalik and nearby Cunda Island, are fine representations of the Greek/Turkish heritage of the Aegean coast. Renowned local produce includes olive oil, seafood and Ayvalik Tost – like a club sandwich but better! This morning the group will depart to Bergama, where you can explore the ruins of the ancient city. Pergamum was an ancient Greek city that became the capital of the Kingdom of Pergamon during the Hellenistic period, under the Attalid dynasty, 281–133 BC. It was cited in the book of Revelation as one of the seven churches of Asia. This afternoon your journey continues to the town of Selçuk: a sprawling farming town at the base of the ancient fortress on Ayasoluk Hill. Your early evening orientation walk will take in sites such as the Basilica of St John, (entry not included) Isa Bey Mosque (a fine example of early Seljuk Turk architecture), and the last remaining column of the Temple of Artemis. This evening you may have the opportunity to enjoy local meze in the town square and meet the locals. Approx driving time Ayvalik to Selcuk 3 hours. Today you head out to the ancient site of Ephesus, one of the best preserved classical cities in the eastern Mediterranean and a great example of Roman architecture. Always an important religious centre, Ephesus was founded by Ionian Greeks in the 11th Century BC and flourished under Roman rule. The Greeks replaced the cult of the Anatolian fertility goddess Cybele with Artemis and built a fabulous temple in her honour. With the arrival of the Romans, it became the Temple of Diana and was one of the original seven wonders of the ancient world. We visit the vast amphitheatre, walk the marble street once trodden by Cleopatra and Mark Antony, and marvel at the gymnasium, baths and wonderfully restored Library of Celsus. This afternoon the journey continues to your overnight base in Pamukkale. Approx driving times Selcuk to Pamukkale 3 hours. 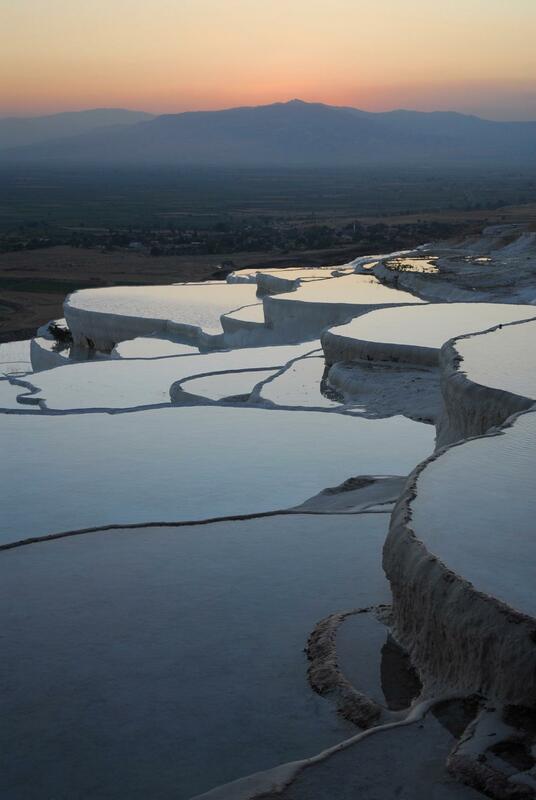 Pamukkale, also known as ‘Cotton Castle’, is a truly unique sight. This spectacular natural phenomenon was created by deposits from thermal waters that cascaded down the mountainside over hundreds of years, forming a myriad of pools and terraces. As the water overflows from the pools, dazzling cream-coloured stalactites are formed that, from afar, resemble cotton or snow. The pools are filled with hot spring waters that supposedly have healing properties. Close to Pamukkale are the ruins of Hierapolis, which was founded by the King of Pergamon in 190 BC and by the 2nd Century AD had become an important Roman bath centre. The extensive ruins of Hierapolis are well worth exploring and include a theatre, temple, holy area, monumental fountain, bath, basilica and necropolis. You will spend the morning discovering the travertines and ancient city before continuing to Fethiye on the Mediterranean Coast. Modern Fethiye is located on the site of the ancient city of Telmessos, the ruins of which can be seen in the city; the Hellenistic theatre is by the main quay. This evening you can take a walk along the boat harbour and the lively market square. Approx driving time Pamukkale to Fethiye 4.5hours. This morning the group will depart from Fethiye and take the coastal highway to the seaside town of Kas. Situated on the Teke Peninsula, Kas was known as Antiphéllos in ancient Lycia and was a member of the Lycian League. Today you can see evidence of Lycian tombs scattered around the town. This afternoon is free to explore this charming coastal town with cobbled streets and lively cafes. Approx. driving time Fethiye to Kas 2.5 hours. Today is a free day to relax or take advantage of the many activities available on the Turquoise Coast in and around Kas. Options include a boat trip to Kekova and view a sunken city, sea kayaking or trekking on the Lycian way. For more cultural options, take a day tour to Xanthos the first capital of the Lycian Federation, or visit the ancient theatre in Kas. This morning the group depart for Antalya, Turkey’s biggest international beach resort. Arriving in the early afternoon, you will visit the ancient Kaleiçi. With its narrow cobbled streets and historic Ottoman era houses, it is the old centre of the city. Restored to retain much of its historical character, the area now houses a plethora of bars, restaurants and shops. History buffs may also want to visit the Antalya Museum this afternoon; ranked third in the country, it is among the leading museums of the world on account of the sculptures from the Roman period and other unique finds. Approx driving time from Kas to Antalya 4 hours. This morning you will travel to Konya via the ancient Greco-Roman city of Aspendos, known for housing the best-preserved theatre of antiquity. 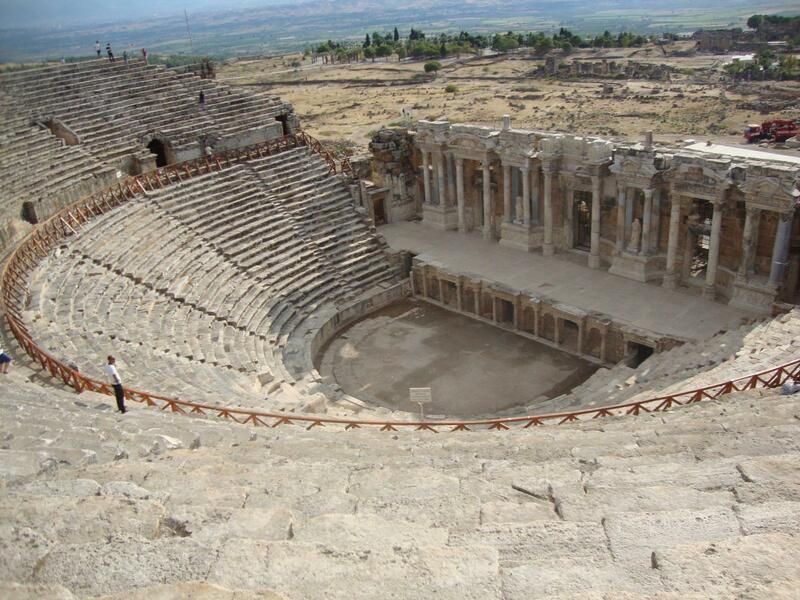 With a diameter of 315 ft, the theatre provided seating for 7,000 spectators. After exploring the ancient site, the group will continue on to Konya, known as ‘Iconium’ in Roman times. It was the capital of the Seljuk Turks from the 12th to 13th centuries and home of Mevlana Celaleddin Rumi, who founded a mystic Sufi order popularly known as the ‘Whirling Dervishes’. Approx. driving time Antalya to Konya 5.5 hours. This morning you will visit Mevlana’s Mausoleum and the museum housing manuscripts of his works, as well as various artefacts relating to the mystic sect that he founded. 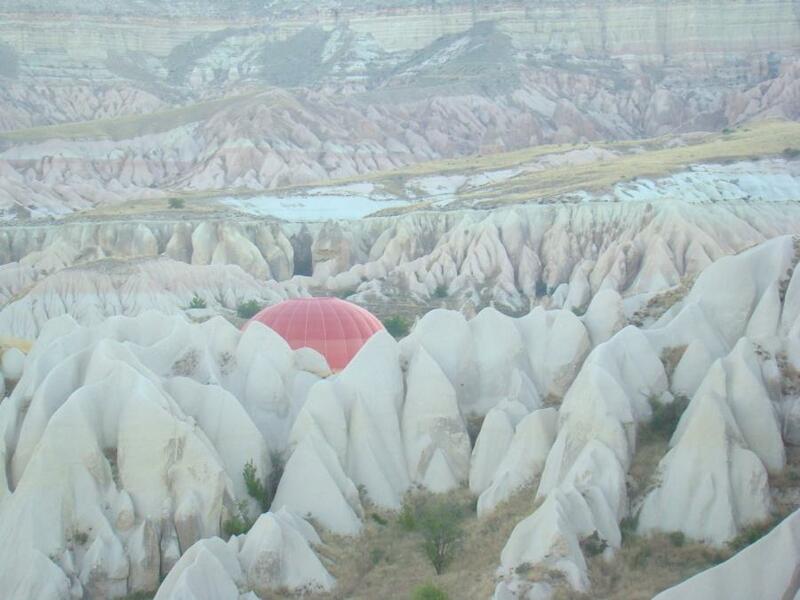 You will continue on to the fascinating Cappadocia region. Shaped by wind and water, the rock formations, rock hewn churches, cave dwellings and underground cities have to be seen to be believed! This afternoon you will visit the village of Belisirma in the Valley of Ihlara on the slopes of Mount Hasan, one of the volcanoes responsible for the formation of Cappadocia. From here you embark on a wonderful walk along the Melendiz River and experience traditional village life, as you pass through the beautiful Ihlara Valley. There are dozens of Byzantine cave chapels to explore along the way and most of them are decorated with exquisite biblical frescoes. You will continue on to the underground city of Derinkuyu, with some dwellings containing rooms spread out over seven levels beneath ground level. Early this evening you will arrive in Goreme, your base for the next two nights. Cappadocia’s main attraction, the World Heritage-listed Goreme Open Air Museum, is a monastic complex composed of churches, rectories and dwellings. This morning you will explore the rock cut churches of the Museum. Later in the afternoon you will be driven to the unique Pasabaglari Valley, where multiple fairy chimneys, hewn from the earth and shaped by centuries of erosion, lend a moon-like landscape and atmosphere to the valley. A chapel dedicated to St. Simeon and a hermit’s shelter are built into one of the fairy chimneys, which appears to have three heads! This morning you have an early departure for the charming UNESCO listed city of Safranbolu. Arriving late in the afternoon you will take a walk around this world heritage site. The town has a strong Ottoman heritage with beautiful preserved timber houses and cobblestoned streets. 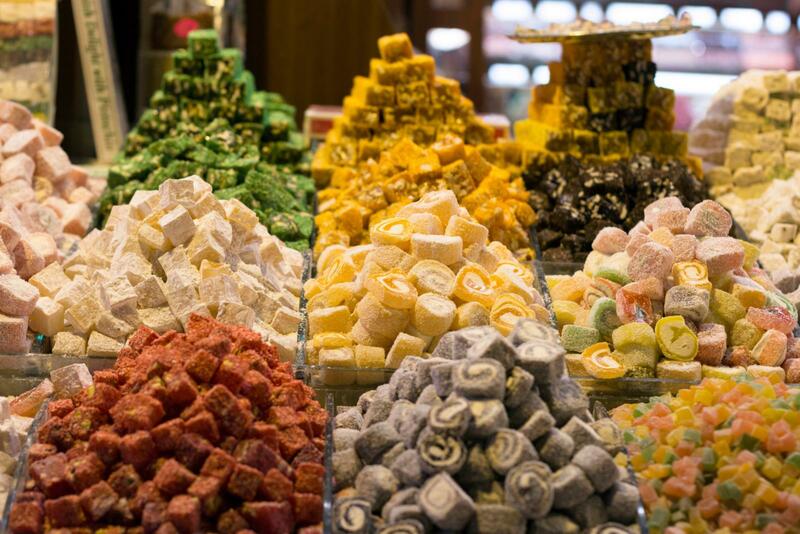 Some Turkish delight tasting is on the list today as the town is famous for the Safron-flavoured candy. 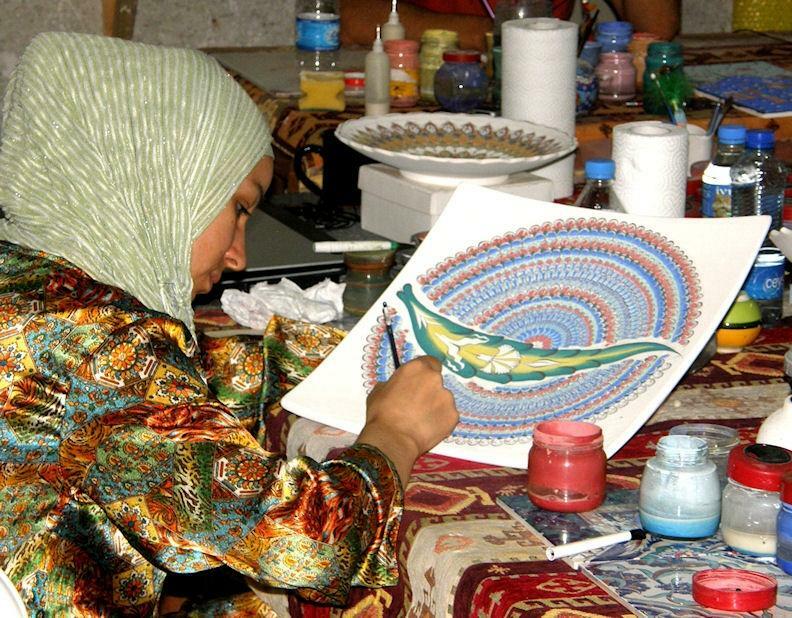 You will also visit the Kaymakamlar Muze Ev – a typical Safranbolu home which is now a small ethnographic museum. After lunch you will make your way back to Istanbul arriving in time to enjoy a last night group meal together. Your adventure ends after breakfast in Istanbul. This is a leisurely tour. If you are healthy, enjoy the outdoors and want a relaxing trip, no experience is necessary for this tour. Hot Air Balloon Option: This option is completely weather dependent and may be postponed or cancelled due to poor weather conditions.